The John Deere LX255 Kohler is a motorized lawnmower. 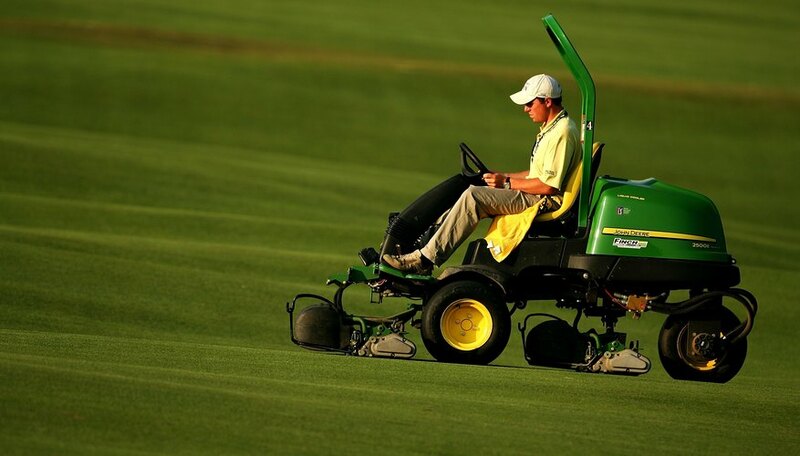 It uses a prototypical John Deere safety-enabled starting procedure. The engine in this LX255 was a 15-horsepower Kohler Command engine. The LX255 lawnmower was built in the John Deere Horicon construction facility in Wisconsin. This model is part of the LX series of lawnmowers that include the John Deere LX266 and the John Deere LX176 lawnmowers, sold between 1999 and 2001. The JD LX255 uses a Kohler CV15S-41571. This is a 1-cylinder 426cc gasoline engine. This naturally aspirated engine is air-cooled and produces a maximum speed of 5.5 mph (8.8 kph). The LX255, like all John Deere riding mowers, is equipped with a number of safety switches; one is placed directly under the seat. The safety seat is designed to shut the John Deere mower off automatically if the operator rises from the seat. This switch can be tested by removing the plug from the seat switch and jumping the connection using a connecting wire. If the direct wire works, the switch is bad. Buy a new seat switch in this case. This is a test procedure only; do not operate the LX255 mower in a direct wiring condition. A starting problem with the ignition coil occurs after some years of use that often befuddles owners. A bad ignition coil is a common issue with the small Kohler engine, and is indicated by not getting a spark to initiate ignition. The coil for a 15 HP Kohler engine is a specific part in the $40 to $50 range. A burning odor indicates a battery charging issue that can occur when the pto circuit for the blades fails. The pto clutch magnet gives off a burning odor, but also damages the voltage regulator, causing the charge circuit to fail and draining the battery. The pto fits inside the pulley driven by the clutch, and looks like an upside down hat. In this case, the part and the voltage regulator likely needs to be replaced.